A team of researchers from Nottingham Business School have carried out a study into the development and impact of pop-up shops, which often aim to halt the decline of once vibrant high streets and shopping centres. We will be discussing the benefits and challenges of offering, managing and utilising temporary retail space. The research looked at sustainable, independent retail formats in temporary locations – pop-up shops – in the UK, the Netherlands, Ireland and Iceland, from the perspective of landlords, policy-makers and the retailers themselves. The study has shown that while pop-up retail can be great for exposure and a way for business owners to generate extra income, as well as testing the market for their products, there can be some consumer reluctance with products that are not quick, like food is, to consume. The team also found that pop-up retail is not an easy solution to the blight of empty shops in high streets and shopping centres, as it is often landlords who hold the power and there are constraints on how empty units can be used and whether they are in viable locations. The specific aim of the research was to investigate whether alternative, temporary retail spaces are sustainable as pop-up locations for start-up retailers, and to also understand the long-term impact of pop-up retail on high street regeneration and community wellbeing. The research findings will be shared at the Pop-up Space – Challenges and Benefits: An International Exploration event at Nottingham Conference Centre on Wednesday 15 June. The event is hosted by the team behind the study – Professor Clare Brindley, Dr Carley Foster, Dr Lynn Oxborrow and Dr Guja Armannsdottir. 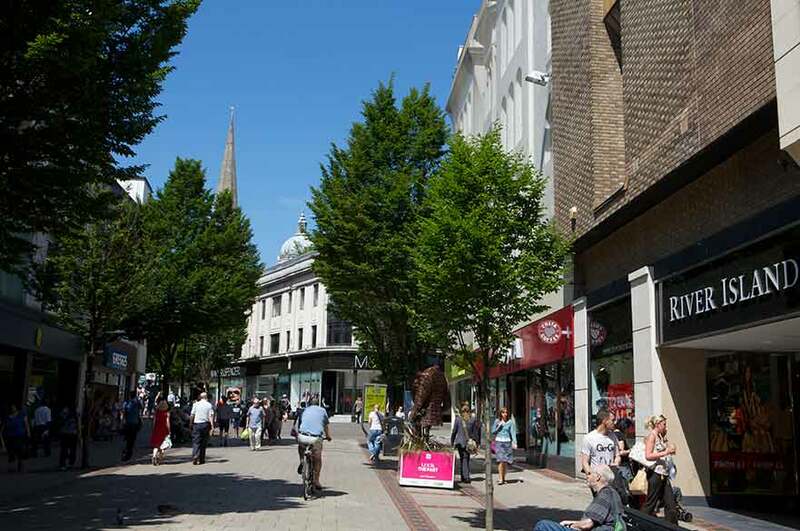 Delegates will also hear from a variety of national and international stakeholders – including landlords, policy-makers, pop-up owners and community champions – about how temporary retail space can potentially halt the decline of once lively high streets and shopping centres. Speakers include Berry Kessels from the Volkshuisvesting Arnhem (the Arnhem Housing Association), which has successfully developed a 'Fashion Quarter' in the Klarendal district of Arnhem using pop-up and short-term retail lets; and Nicola Griffiths, who will describe Virgin Trains' use of railway station space for pop-up retail. Clare Brindley, Professor of Marketing and Entrepreneurship at Nottingham Trent University, said: "We will be discussing the benefits and challenges of offering, managing and utilising temporary retail space and sharing the knowledge we have gained from our study. Our research builds upon a successful track record of involvement with the retail community and we are hoping it will provide the foundation for further work in this area." Find out more about the Pop-up Space – Challenges and Benefits: An International Exploration event from Nottingham Business School. Nottingham Trent University’s five-year strategic plan Creating the University of the Future has five main ambitions: Creating Opportunity, Valuing Ideas, Enriching Society, Connecting Globally, and Empowering People.